Hadn’t thought that I will have to start this year on a negative note. Infact first few days have been good and bullish of sort. There was an air of optimism all around. But today has been an unprecedented day in Indian Corporate History. Don’t know how many times have I used the word’unprecedented’ in recent times. Its becoming so common with defining events occurring frequently that it may lose its significance. 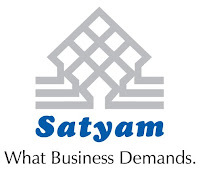 Satyam Computer Services Ltd., a blue chip, belonging to the league of top 4 ITES houses (others being TCS, Wipro and Infosys) and darling of investors, admitted to fraud of shocking proportions, around INR 7000 Cr. (roughly $1.5 BN @ $:INR- 48). Coming from B Ramalinga Raju, who enjoyed very high credibility in India and overseas, and considered the new gen leader of emerging India, has made it even more appalling and disgraceful. I have met him once and he comes across such a humble and honest character, almost Gandhian in life and simplicity. Its understandable if this was from some rogue broker. His act has put everyone proud Indian to shame. He has hurt his employees, shareholders, customers, and believers in the India story. The failed and aborted Maytas acquisition bid itself was enough to rub eyes again and again and pinch oneself to be sure of whether this was really Raju’s act but this one just blew out of water. Its beats all the financial scams so far India has seen, in scale and sophistication, a fraud of epic proportions, by our standards. However this one was a step ahead of other scams. Most of the other scams involved non-cash items or off balance sheet items, but fudging ‘cash’ is almost impossible and that to the tune of $1BN is astonishing, tells how massive the fraud is. Every item has been fiddled - cash gone, interest on cash – fudging on top of fudged cash, additional liabilities, creditors shown on lesser side, debtors shown on higher side, revenues fudged, margins fudged….whoof ..all this for years. Cannot be one mans job…surprisingly no one blew the whistle…when the company was publishing results within segments…the business leaders must be knowing that there contracts are not resulting in kind of margins the results are showing… CFO, controller, auditors, board, audit committee..… how could this escape. So far, I used to take pride in the fact that we are relatively untouched, but this one right in my courtyard, has left me jolted. This act has put Indians, India and India Inc in bad light. The credibility has been put to question by this act. The trust and confidence, which was already shaken post series of collapses in US, and was limping back to somewhat normalcy, has been shattered yet again. Couldn’t have imagined a worst start for 2009. Why does one need to do this? Morally bankrupt society - the world is undergoing a moral and ethical crisis of epic proportions. The virus has spread throughout the world and has damaged the immune system of the society badly. Corrective steps should be initiated and speed is of the essence. Role of each player should be examined, Raju and all those who connived should be treated as financial terrorists and punishments should be commensurate. I just hope this is not the beginning of scams in India and remains as one off isolated event. An economy of our size cannot take it any more. Lets be guardians to what happens around us.